This has been a big weekend. 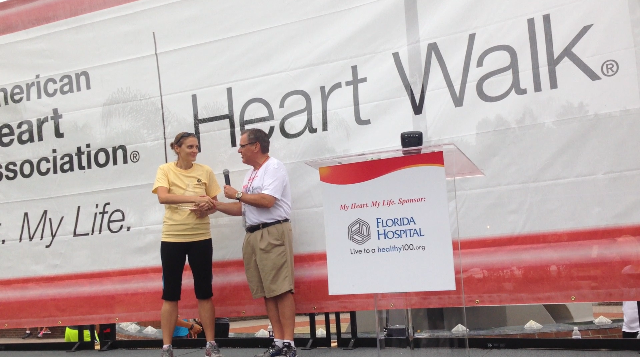 Saturday was the 2013 American Heart Association Greater Orlando Heart Walk and delicious homemade summer rolls. Today started with a new personal record for long run distance for me (7.15 miles) followed by several hours in the kitchen making smoothies, homemade cinnamon raisin bagels and bean soup. 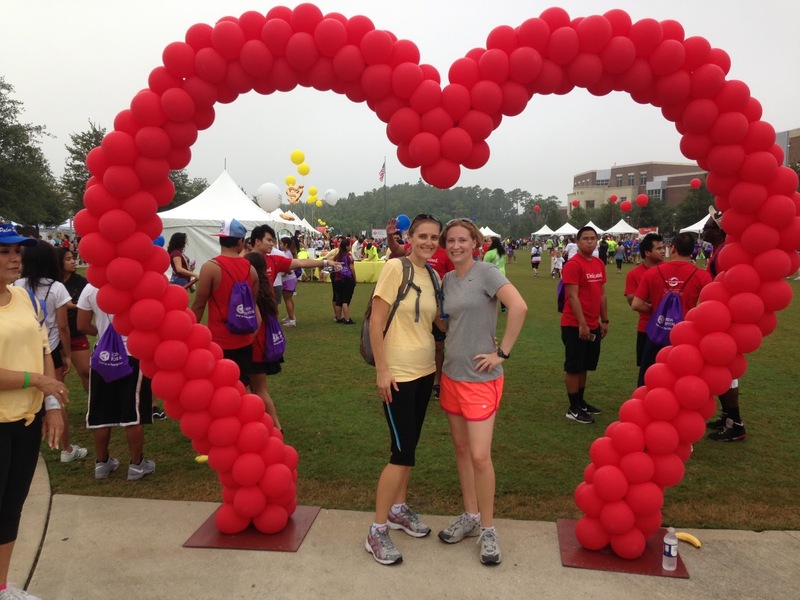 The Heart Walk was held at the main campus of the University of Central Florida (this is where I work, but I work on a different campus). I was asked to join the Library’s team by one of my co-workers, and Carly decided to join the team as well. Between the two of us we raised almost $1,000 and contributed to UCF’s total of over $25,000. I was walking in support of my Dad who had a stroke in May (and is struggling through recovery every day), and my Uncle Gus who passed away from complications with open heart surgery almost one year ago. Carly was walking in support of them plus her Uncle Gary who has had several heart attacks, and her Grandfather who had heart disease at the end of his life. We had a great time on the walk and Carly completed it with ease (and even let us jog several times!). The event would have been special enough for the aforementioned reasons, but it started with something pretty special. 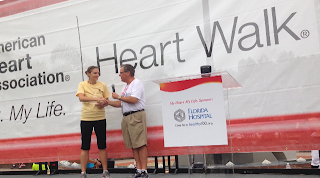 Carly nominated me to win the Heart Walk Lifestyle Change Award which was created to “recognize individuals who have made positive changes to improve their quality of life and health”. I was selected as the winner and was given a beautiful glass trophy on stage in front of 18,000 people! I didn't really get to say much but I did give a shoutout to my Dad and UCF. It was very cool and it made me feel great. 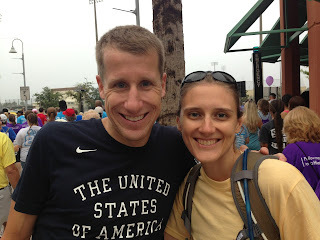 I also got to meet Hunter Kemper and have a chat with him during the walk. He’s the most decorated and accomplished US Triathlete and has competed in the last 4 Olympics. We were done by 9AM (the walk started at 8) and we spent the rest of the morning running errands followed by an early lunch (Chipotle salad!) and an afternoon nap. 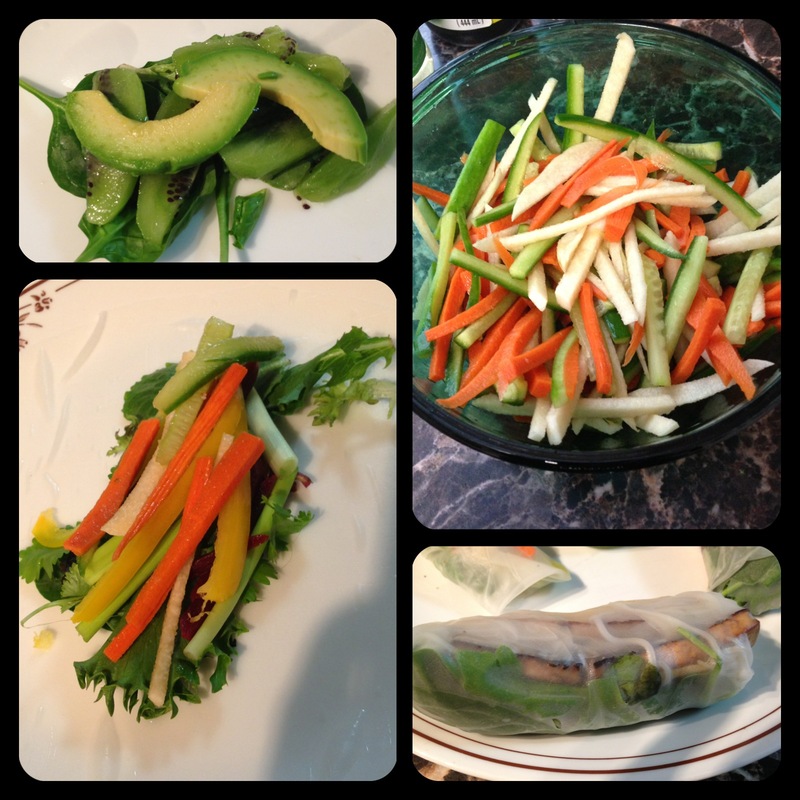 We made summer rolls together and it was the first time we’ve tried them. It’s actually pretty easy to make the rolls as long as you have your ingredients prepped and a nice space to work. I made 7 rolls that had various combinations of: salad greens, beets, scallions, avocado, tofu, cilantro, bell pepper, and pickled cucumber/carrot/jicama. We made a dipping sauce of Korean bean paste, ponzu and rice vinegar. So easy, delicious and healthy! This morning I had planned to go for my longest distance of 7 miles and was a bit concerned that yesterday’s walk would affect my legs. I had a great run and was happy with it for the most part. It’s been hard to adjust to the idea that I need to run slower to sustain a longer distance. My miles varied between 9:29 and 10:10, and I pretty much varied between 9s and 10s each mile. I hit the 10k mark just under 65 minutes, and finished with 7.15 miles total in 72 minutes. After my post-run ritual (Emergen-C, stretching/yoga, shower, smoothie bowl) I spent the next 2.5 hours in the kitchen. Carly loves bagels and it’s very hard to find any that don’t have a bunch of junk in them, so we decided to try to make our own. 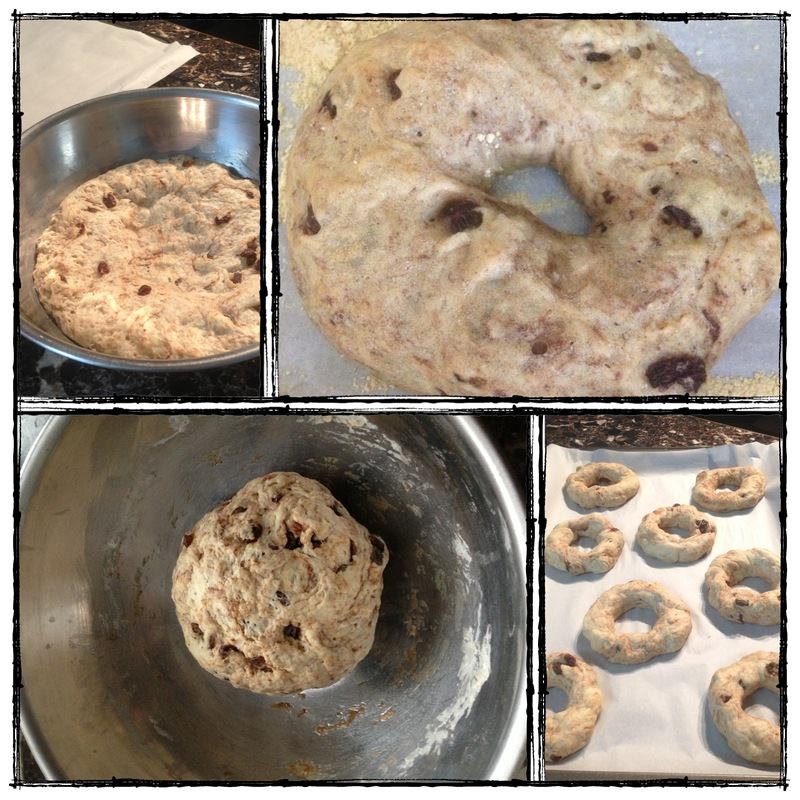 We used this method/recipe from Averie Cooks with one slight modification of subbing white sugar for brown. We haven’t tried them yet but they look, feel and smell amazing! I also spent 30 minutes or so making smoothies for the week, and also worked on a bean soup that we’ll have for dinner tomorrow. It’s been a good weekend, I love feeling like I’m inspiring people to make positive health related changes, and Carly’s recent commitment to exercising more means quite a lot!